Front floor pans replaced by former owner . Used flat stock . 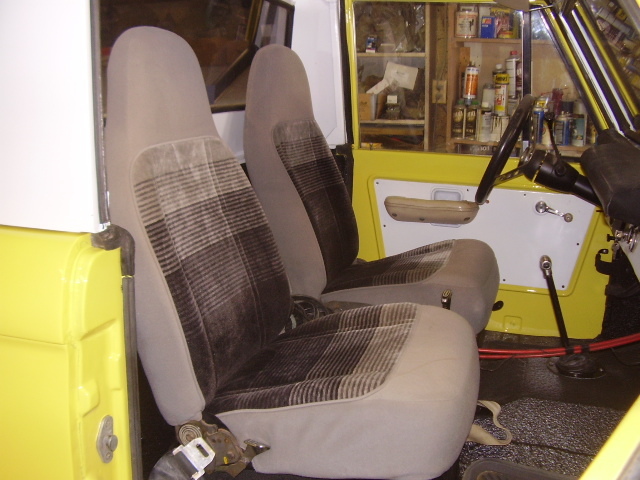 Interior & bed floors, firewall -tailgate spray bedlined . New urethane stock body mounts . New windshield & gasket . High Country fiberglass hood w/hydraulic lifts . 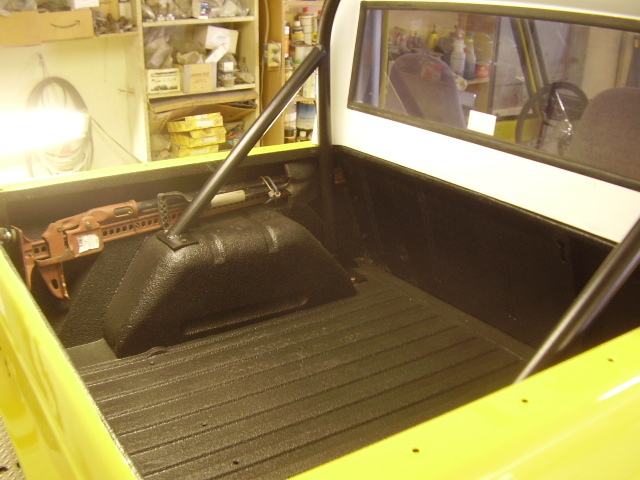 Factory ½ cab conversion , originally a full top U15 . OEM electric wipers w/OEM wiper cover & sun visors . Rebuilt 302 , mileage unknown but confirmed rebuilt . Rebuilt ’77 Ford Duraspark distributor (OEM electronic ignition) . Complete new tune up parts, belts & hoses . Custom 2 into 1 exhaust ( 2.5”- 3” ) . Rear axle : Ford 9 inch w/ 3:50 ratio, Limited Slip ( all new seals ) . ’76 Dana 44 OEM disk brake front axle w/ 3:54 limited slip . Rebuild brakes ( new rotors , new pads/seals, 10-‘18 ) . Transfer case : Dana 20 T shift ( new seals) . OEM Power brake booster . New steering shaft rag joint . New Power steering pump . 3.5” suspension lift : Duff progressive front coil springs. 15x10” vintage slot mags . 33x12:50x15” BFG AT KM tires . 23 gallon NWMP gas tank . Complete new wiring harness : Centech Wiring . hauler , snow plower , you name it .... it's done it well . This past October it took a 100+ mile highway trip coming back from the shop that I had rebuild the front end ... & it did that trip well too . So as it sits I'd take it anywhere . Tho it's most at home off-road , it's quick , powerful & handles , well , .... like a Bronco ! 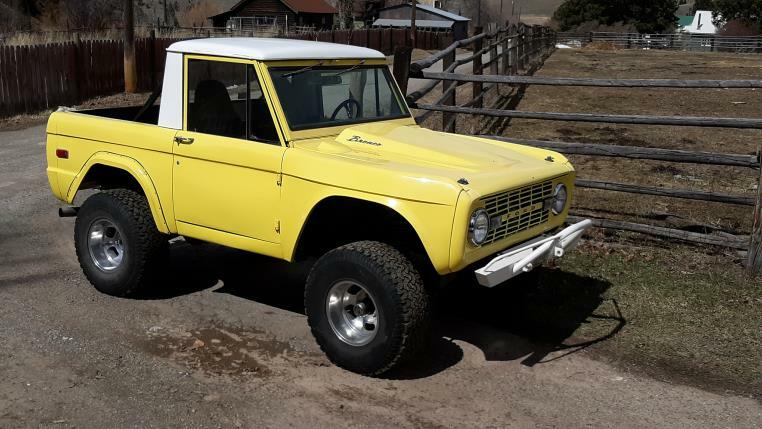 The purpose behind building this Bronco was to have a mechanically sound Bronco first . One that would take me from point A to point B & back reliably without worry of break down . A major plus is this is built with Ford parts , engine accessories , drive train etc . When it comes time to replace a part it can be had locally over-the-counter , you won't have to scratch your head wondering just what was used in such & such conversion . After a number of years of proving itself I moved on to cosmetics . While this was not built like one of my restorations , all the experience & quality went into this long term build . Tho it typically gets driven every week , I put very few miles on it each year . It is not a show queen/mall crawler but neither is it a rock crawler . It presents itself very well tho you will find chips & scratches & some fiberglass stress cracks . I built it to use but I also wanted something that would impress . It does it all very well . 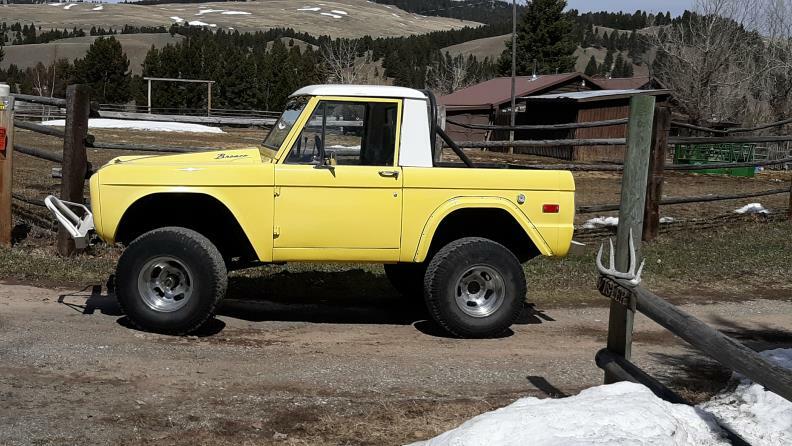 This is pretty much a rust free Montana Bronco . 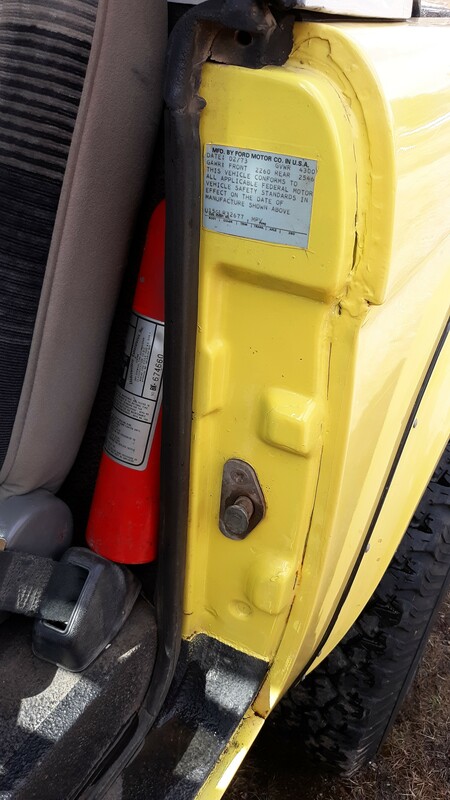 The person I bought it from replaced the floor pans with flat metal & patched the front inner fenders . The floors were done in the days before reproduction ribbed floor pans . But that's all the rust repairs that were needed . He also heavily undercoated the bottom of the Bronco while the body was off the frame . While it wasn't "pretty" , it was effective . Once again , something that was done for function not just "looks " . You can see pics of the Bronco as it transforms over the years since I bought it on pages "JustBroncos " & "Steves Rides ". The Bronco was also featured in "Bronco Driver " magazine # 2 . This has always been a Western Bronco . The DSO has it originally delivered to Salt Lake City . Western 6 1/2' , 4 way hydraulic . Rams resealed 2018 . Has detachable lights included . Plow set up is an option with the sale of the Bronco . 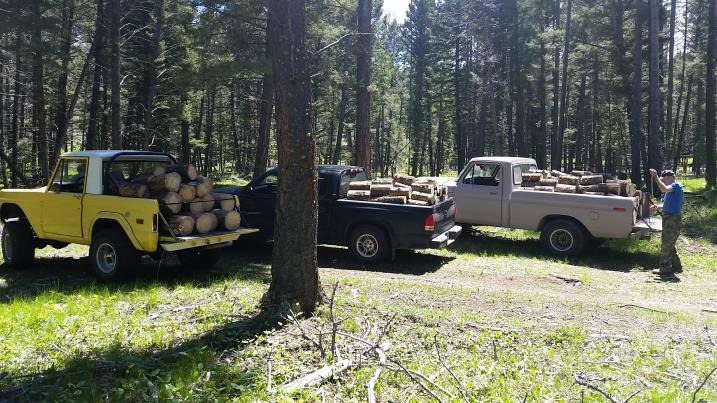 Would consider a partial trade on a '90's to early 2000's Toyota T-100 , Tacoma , or Nissian 4x4 truck . I also would consider a "make-over " if say you liked the Bronco but not the color or some such thing . I'm open to such possibilities but it would add to the overall selling price . I can take pics of any areas not already covered , just ask . Bronco is sold as is , where is . No warranty written or implied . Shipping , if needed , is the buyers responsibility . Seller will help with arrangements such as scheduling & meeting shipper . Payment : Cash or bank to bank wire transfer only . Upon receiving payment a clear & notarized title will be provided . More pics available upon request . I'll be putting more up once winter leaves . The red cables in the engine pic are the plow controls .